There is nothing particularly special going on. 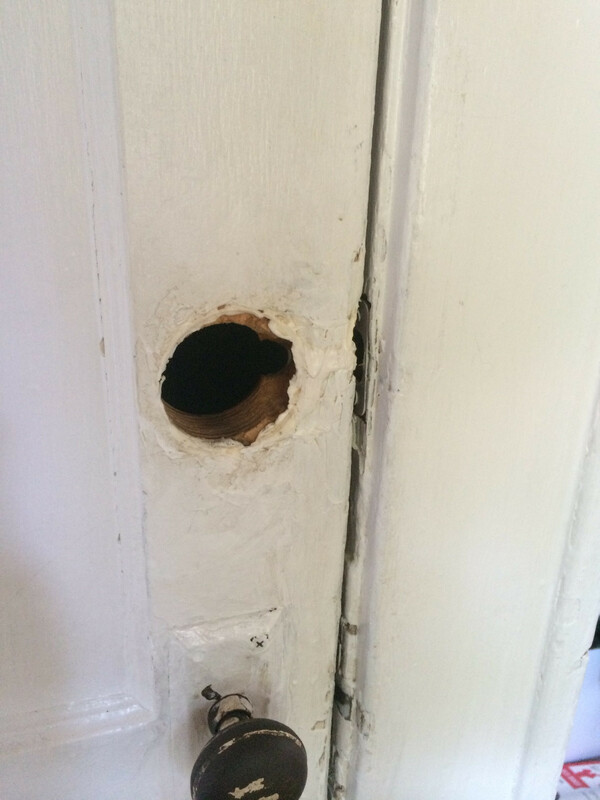 Light seems to be dispersing into the color spectrum solely because of the hole in the wooden door. Some days it's even clearer than it is today. What gives? 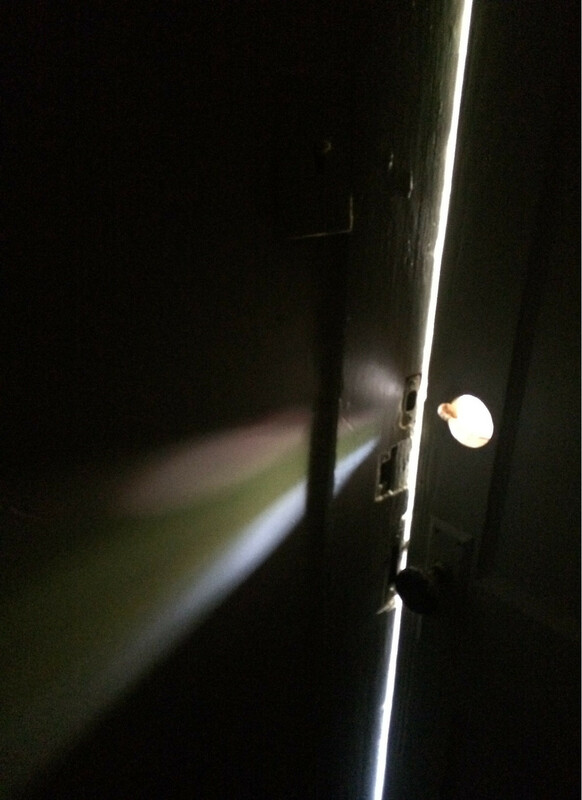 I know light can do this through prisms, but how come it's happening with only a hole in a door? It's far from perfect because I made the hole using a black gym bag and some masking tape, and used a handheld mirror to reflect it onto the door, but I think it shows his explanation to be correct pretty well! 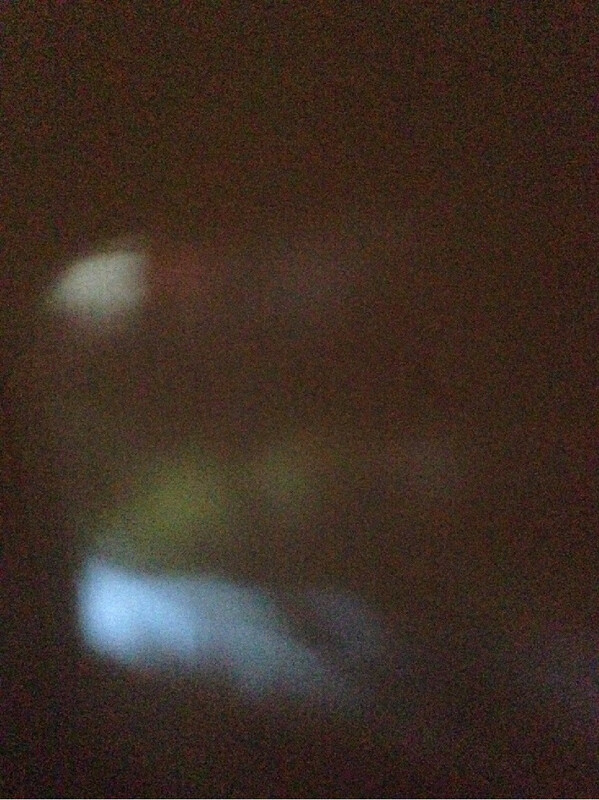 You have created a rather poor pinhole camera (camera obscura). 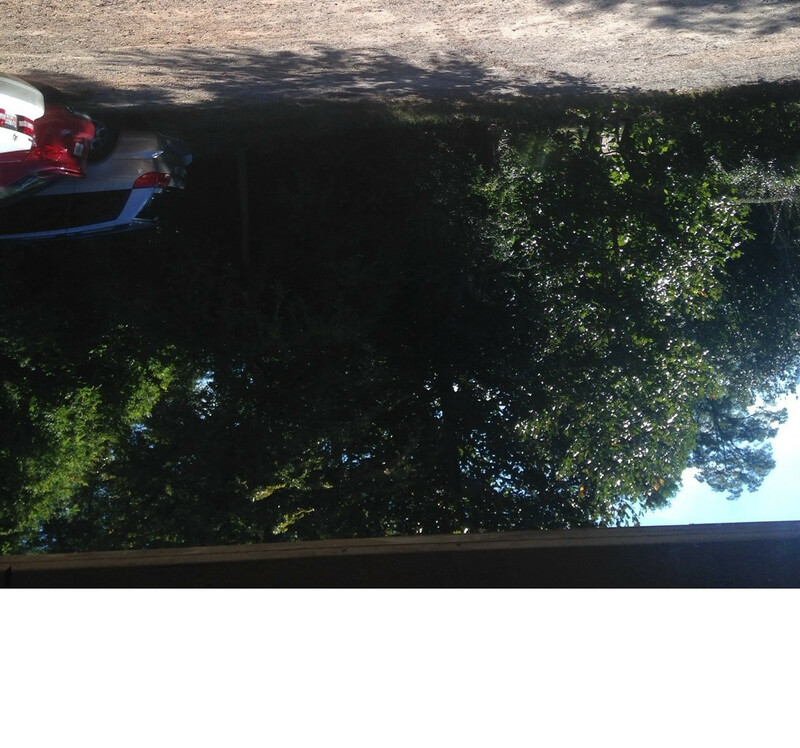 You can see an "image" of the sky, a green space (trees) and even a reddish brown blur that is your driveway. This is not diffraction or refraction - it's geometrical (classical) optics. Because the hole is pretty big, you see a very blurry image. But basically, the light from the sky falling through the hole hits one part of the door; the light from the trees hits a slightly different part; and the light from the driveway (the lowest object on the outside) hits the highest part on the inside, after coming through the hole. 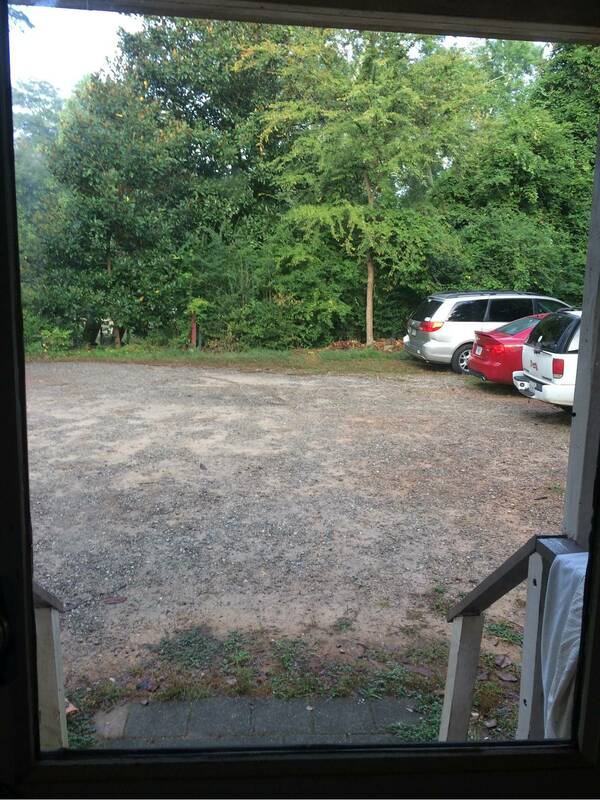 Incidentally - if you took a picture from the perspective of the hole in the door, I am guessing you would see more of the sky - in your photo of the view, the sky is barely visible, but in the doorhole image it's much more prominent; and conversely, one sees less of the driveway. This is consistent with the photo being taken from a different vantage point. Not the answer you're looking for? Browse other questions tagged visible-light everyday-life dispersion or ask your own question. If I can see someone's eyes, can they see mine? Does light color change when refracting? Why does Light change color through Glass slab? Does light with wavelengths outside the visible spectrum have a color? Why does water have no color? White color is stimulated by full visible spectrum waveleght. Why can white color captured by single color light source?